Cinemersia, a leading live-action VR cinema production company, releases their maiden VR film, MansLaughter, on Samsung GearVR head-mounted displays. Due to the novel design, the film is the first in a number of areas, including VR film length, VR digital content, quadraphonic VR sound engineering, core plot guidance, and story construct and design. 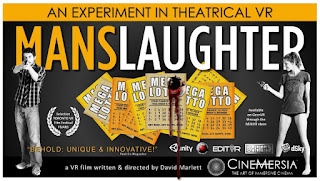 Billed as 'an experiment in theatrical VR', MansLaughter places the audience in the middle of four scenes happening around them, with most of the actors appearing in multiple scenes simultaneously. In that virtual reality space, audiences can choose (by turning around) what scene to watch, at what time, and in what order. Only the scene being looked at can be heard, though there is a slight dialogue overlap right in-between the scenes, adding to the complexity of the writing. 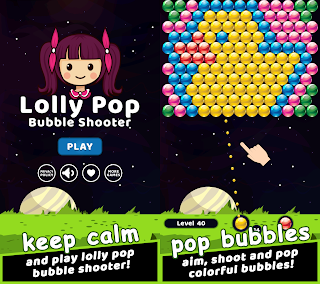 "Four people in tangled relationships learn a man who's won a $265 Million Mega Lotto is waiting to turn in the ticket. Delay is not his friend, nor are the other four as his caution gives them time for deception, double-cross and murder in order to claim the ticket for themselves. But who will end up with the money? Pay attention all around you to find out." "A significant amount of invented physical and technical design went into making MansLaughter work," said the film's writer and director, David Marlett. "I lost track of how many times we found ourselves creating things out of whole cloth due to necessity. For example, the script was a beast as the timings had to be precise. We had a terrific and very patient cast and crew as each of the four 10 minute central scenes are long takes, must run concurrently, and be exactly aligned to reveal only certain things in the plot based on how the audience engages with them." He added, "It makes more sense when you experience it." There was no traditional editing, but Marlett added what he calls the 'blue goo', an inverted editing device, an object hovering high over key dialogue and moving between the four scenes. That allows the audience to either follow the director's suggested path through the core storyline, or look elsewhere for more plot layers and subtext. "We had an extraordinary post-production team putting it all together, including writing code and creating tools and tech where none previously existed," added Marlett. "They include Daniel Gaucher at EDITVR, Tim Gedemer at SourceSound, Greg Roberts at dSky, and Andrew Dickerson at Samsung. It was because of those four guys that we were able to pull off the many unseen hat-tricks and shoe shuffles that make MansLaughter work." MansLaughter is offered (for free) only on the Samsung GearVR. This is due to Samsung's recently released MilkVR software upgrade (V. 1.35) that was developed in part for MansLaughter, and because of the GearVR's unique-in-the-VR-market-for-now cordless/mobile functionality. "Because of the four way scenes in the full 360 degrees, the audience needs to be free to turn," said Cameron Ayers, one of the film's producers, adding a recommendation of a comfortable swivel chair for the full 46 minutes it takes to watch it all. "MansLaughter is free because it's an experimental film," said Ayers. "When we release full feature films, like ARAPAHO, they'll have prices comparable to traditional movies on demand." The team at Cinemersia are rapidly building on what was learned from MansLaughter. Currently they're in pre-production on their next two VR projects, both being billed as revolutionary. ARAPAHO will be a full 90 minute immersive, VR feature film ("Dances with Wolves" meets "Sliding Doors", and through VR you're out there on the prairie), and INNERDRONE, a TV/VR hybrid set in the near future ("Homeland" meets "Lone Survivor", and through optional VR you can be either inside the combat or not). See www.Cinemersia.com for more information on MansLaughter, and Cinemersia's next VR films. 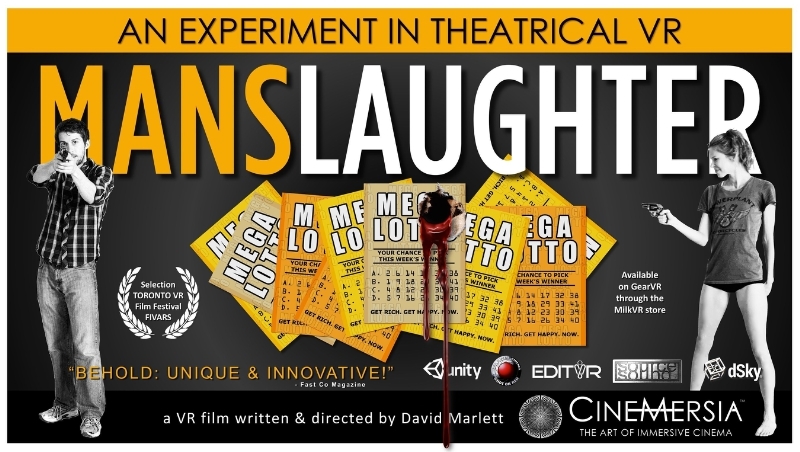 0 comments on "Cinemersia releases MansLaughter, an Experiment in Theatrical VR Entertainment on Samsung GearVR head-mounted displays"